We recently got a pt in home infusion with a Hohn catheter.Â My understanding is that it is basically like a Hickman.Â However I did read that the HohnÂ is easier to removeÂ and that you just 'pull'.Â Is this still removed by the physician as the Hickman is, orÂ is it a nursing procedure.Â Anything you wish to enlighten me on with this particular catheter, I will appreciate.Â Thanks in advance! 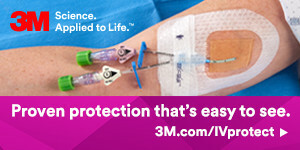 No, these are not the same type of catheter. Hohn is a percutaneous catheter made of silicone usually inserted like any other percutaneous CVC. So you can remove it like any other CVC. Hickman is a trade name for a tunneled cuffed CVC. The cuff has grown into the sc tissue, plus the tunnel can be several inches long. So these require more skill to remove. Usually the cuff is surgically dissected then they are pulled out. By traditional antimicrobial cuff, are you talking about the cuff made of collagen with silver? The tissue does not grow into this cuff like the velcro-feeling cuffs. I found it on their website. I found it on their website. The PowerHohn is made of polyurethane, capable of power injection and has a cuff for tissue ingrowth. The Hohn (silicone) and the Power Hohn (polyurethane) both have the VitaCuff antimicrobial cuffs. The VitaCuff is comprised of two concentric layers. The internal layer is made of specially formulated medical grade silicone. The external, tissue-interfacing is VitaGuard antimicrobial collagen matrix (silver ions bound to the collagen). This activity lasts until the VitaGuard matrix is completely absorbed by the tissue in 4-6 weeks. Tissue ingrowth into the VitaGuard collagen matrix occurs in a few days. Hickman, Leonard, and Broviac central venous catheters have the SureCuff tissue ingrowth cuffs for fixation in the subcutaneous tract along with the VitaCuff. These catheters are the ones usually surgically removed. I have not personally removed a Hohn catheter but did have a patient present at the Emergency Department with a Power Hohn because the homecare nurse was not comfortable pulling against that amount of resistance (the inserting physician ordered them to pull it). The ED referred the patient back to the inserting physician. Hope this helps, all the information is available on BAS's website under IFU for each catheter. Thanks SO much!! This info is so very helpful!! This continues to be a great resource...thanks Sarah! May everyone have a wonderful day/week! !